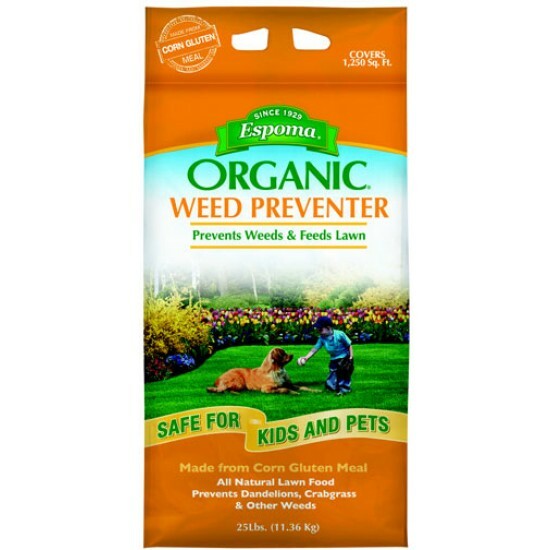 Espoma Organic Weed Preventer helps prevent unsightly weeds from popping up in your lawn while it nourishes the grass so that it becomes more resistant to heat, drought and other stress. And because the product is all natural, it is safe for your family, your pets, and the environment. Only works as a pre-emergent. Apply twice per year: Early Spring and Fall. For Lawns: Apply 20 lbs. per 1,000 sq. ft. covers up to 1,250 sq. ft.
For Lawn Food: Apply 10 lbs per 1,000 sq. ft. covers up to 2,500 sq. ft.